to any of the most popular formats: DPX, EXR, GIF, JPEG, JPEG-2000, PDF, PhotoCD, PNG, Postscript, SVG, and TIFF. Installation is multilingual: German, English, Spanish, French, Italian & Portuguese languages are supported. 38.8 Mb free disk space is required for installation. Installation is fast and clean. At the end of installation, you will be asked to launch Converseen and to open the read me file. Add image(s) via browsing. Drag & Drop not offered. 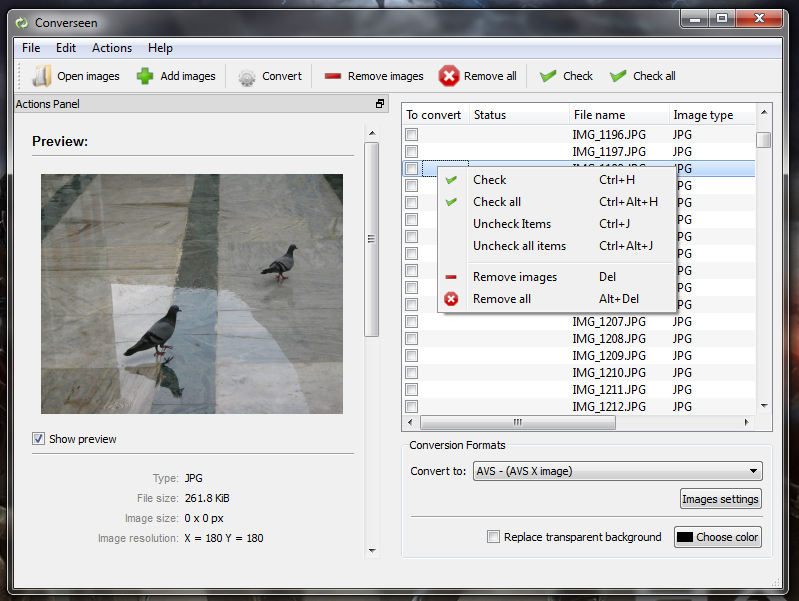 Convert images to 130 image formats. 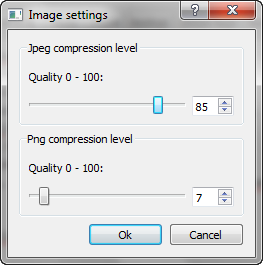 Can compress JPEG and PNG image formats. Can set to ask or directly overwrite images upon conversion. output folder cannot be changed. It’s the user folder. You will get an option to open it after conversion finish. 10 Languages are supported for the GUI. RAM usage is a bit high. I like few things in Converseen: large number of supported image formats, PNG compression, background color change. Few things can be improved and added: RAM usage, Changing output folder, renaming and resizing in batch. A portable version would be handy. Copy the installation folder and execute converseen.exe any time to launch the application. This entry was posted in Format Conversion, Free, Graphics Management, Portable, Software, Windows and tagged Converseen.